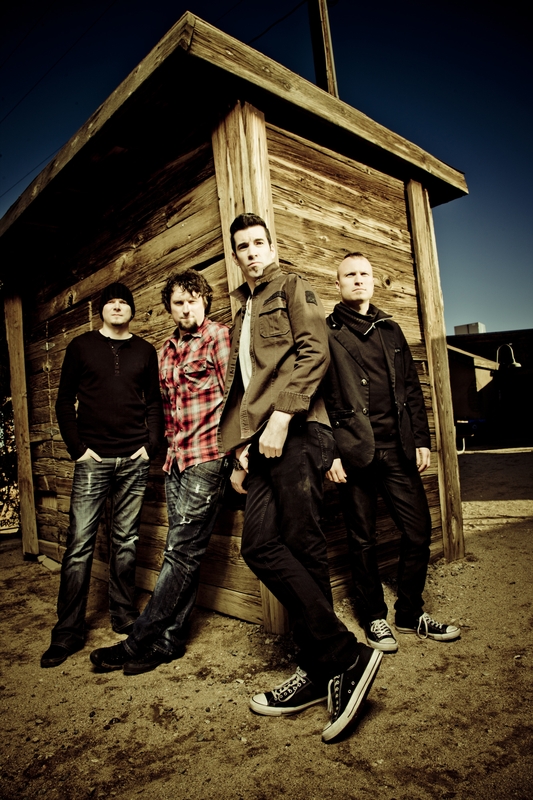 (August 9, 2011 – New York, NY) – Theory of a Deadman keep finding more things to celebrate. Hot on the heels of a Top 10 album debut on the Billboard Top 200 with their latest Roadrunner Records release The Truth Is… last month, the band now find themselves on top of the Active Rock Chart hitting the #1 spot this week with the first single, “Lowlife.” The single is the third #1 single of their career alongside former chart toppers “Bad Girlfriend” and “So Happy” from their platinum selling previous release Scars & Souvenirs. “Lowlife” has also sold more than 60,000 singles since its release on iTunes. The “Lowlife” video stars Donal Logue (known for his work on hit television shows such as ER and Grounded For Life) as the title character and antihero and is directed by Paul Boyd who is known for his work with Sting, Shania Twain and Seal to name a few. The Truth Is… was released on July 12th via Roadrunner Records and exploded onto the Top 10 of the Billboard Top 200 at #8 scanning over 37,000 units its first week. The album also reached the #2spot on the iTunes Rock Album charts and the fan-discovered track “Hurricane” hit #9 on the iTunes Rock Songs Chart selling over 10,000 units. The album was produced by Howard Benson (My Chemical Romance, 3 Doors Down). 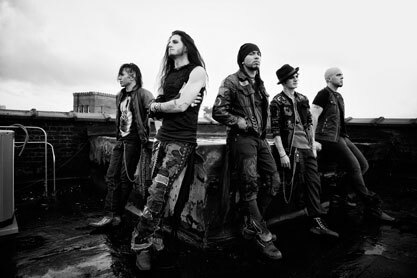 Theory of a Deadman has been together for over a decade and created a sound that fans worldwide have embraced through their previous releases: Scars & Souvenirs , Gasoline , and Theory of a Deadman . The band has become synonymous with building arena-ready hooks around hard rocking stories of good times, bad times and everything in between. The band will be heading out on this summer’s Carnival of Madness tour alongside Alter Bridge, Black Stone Cherry, Adelitas Way and Emphatic. Sponsored by Monster Energy Drink, the Carnival of Madness Tour will tear through North America for 25+ dates beginning August 13 in Twin Lakes, WI. Upon wrapping the Carnival of Madness tour, the band will take a very shortbreak before heading out again to open for 3 Doors Down across America. Theory of a Deadman is Tyler Connolly [Lead Vocals, Lead Guitar], David Brenner [Rhythm Guitar], Dean Back [Bass], and Joey Dandeneau [Drums].